As 888poker’s fall online series XL Eclipse heads into the final weekend, players took the opportunity on Thursday to register for a trio of tournaments that serve as a good warm-up for the upcoming $1,000,000 Main Event. The “Quarterback” was the focus of the day with players being able to re-enter and receive 25% of their starting stack for 25% of the cost. With $95,000 guaranteed money on the line, plenty of players received a much needed added boost to their bankrolls. The largest score of the day came in the featured tournament, Event #22: $50,000 Quarterback. Finnish grinder ‘VALIUM4WIN’ bested the 208 players that put up the $215 buy-in and he took home the $10,954.29 first place prize. He defeated ‘futomaki123’ in the heads-up battle. The runner-up ‘futomaki123’ claimed the second largest prize of the day of $7,897.25. German player ‘KellerA’ rounded out the top three, earning just shy of $6,000 for his bronze finish. Denmark’s ‘MttRaven’ topped the list of the 485 players who entered Event #23: $25,000 Mini Quarterback. With the victory, he turned his $44 buy-in into $4,750. 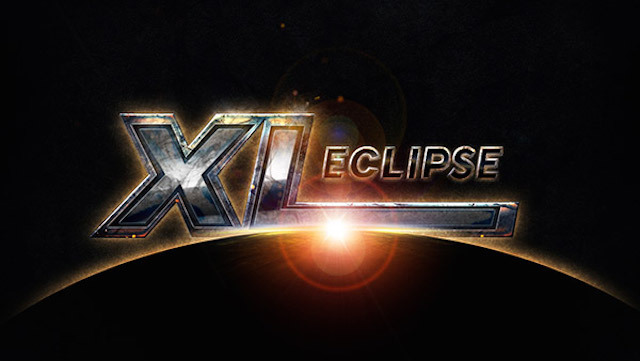 Joining the Dane as a newly minted XL Eclipse Champion is ‘kozirok_bel’ from Belarus. He took his title by besting the 182 players who jumped into Event #24: $20,000 Late Quarterback where he won $4,633.29. As the 2018 XL series winds down, players who have been grinding the series are starting to earn multiple cashes. Some are even get close to winning some of the $600 bonus tournament tickets. XL title winner Feargus ‘EZ.PZ.’ Murphy from the UK, who won Event #8, cashed in his fourth and fifth event. He took 16th place in Event #22 for $636.87 and earned another $150 for a 21st place finish in Event #23. He’s already earned the bonus $600 ticket and with four more cashes in the final 10 events, he’ll earn another $215. Andreas ‘r4ndomr4gs’ Berggren found himself at the final table of the same event, locking up a $2,547.50 cash. This marks the third cash for the Swedish powerhouse, another recipient of a bonus. 2017 XL Eclipse champion ‘_Lord_Xenu_’ picked up a pair of cashes in Thursday action. A fourth-place finish in Event #22 for $4,458.12 and a min-cash of $215.50 in Event #24. Speaking of Event #24, World Series of Poker standout Kenny ‘SpaceyFCB’ Hallaert made a deep run, just missing out on the final table by finishing in 11th for a modest $377.12. Finally, Russian superstar Arsenii ‘josef_shvejk’ Karmatskiy picked up his second series cash with a 19th place finish in Event #22 for $509.50. The #36-ranked players will add that to his over $2.6 million lifetime earnings. When there’s a big online series, PocketFives members tend to show up in force and go deep. Thursday was no exception. Joining Berggren at the final table of Event #22 was Lithuania’s #18-ranked player, ‘perfking’. Although he made that final table he was the first to fall, finishing in ninth for $1,019. Slovenia was well represented in Event #23 as ‘ryuzaki16’ finished as the runner-up, collecting $3,500 for his efforts. That is a new career-high cash for the Slovenian. Taking a seat at the same final table was Brazil’s ‘bubbleboybr’ who fared much better than the bubble and won $1,375 for fifth place. Finally, ‘WalmartCNXN’ rounded out the final table by hitting the rail in ninth place for $415. In Event #24, Jack ‘Jackerzzzzzz’ Loraine from the UK narrowly missed earning a title, bowing out in second place for $3,340. While Germany’s ‘Canyoh’ took fourth for over $1,885. It’s bounty hunting time as a trio of Knockout tournaments is scheduled for Friday. Take out an opponent and earn some extra cash – how hard can it be?